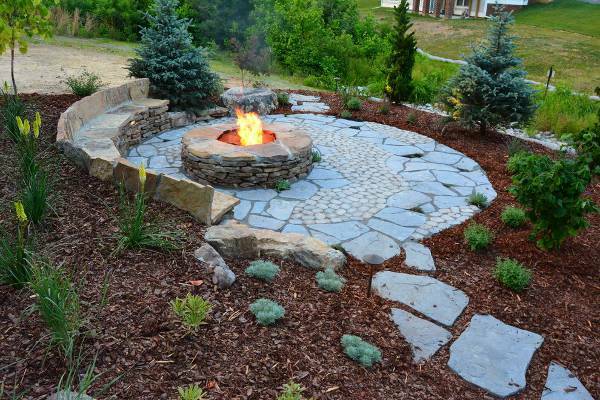 An outdoor fire pit designs can either be portable or permanently built. Apart from providing warm during cold nights they decorate the patio or backyard. You can choose a fire pit grill that can come with a rotisserie for grilling or fire pit table that can hold both the food you are cooking as well provide heat. 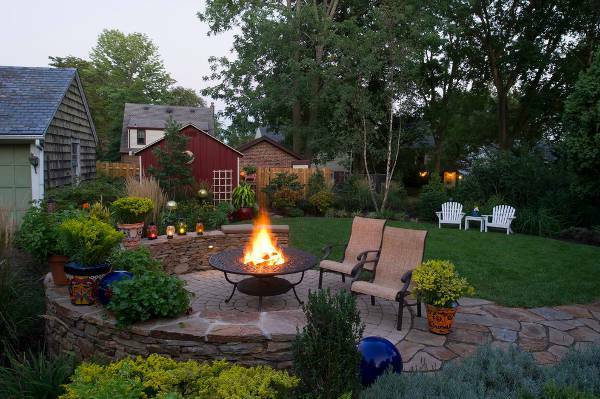 Backyard fire pits should have enough cleared space around it to ensure nothing catches fire. It should be free from branches or leaves as well as illuminate the area to provide a romantic effect. Your budget will determine the type of fire pit so you can get either a small or large design. 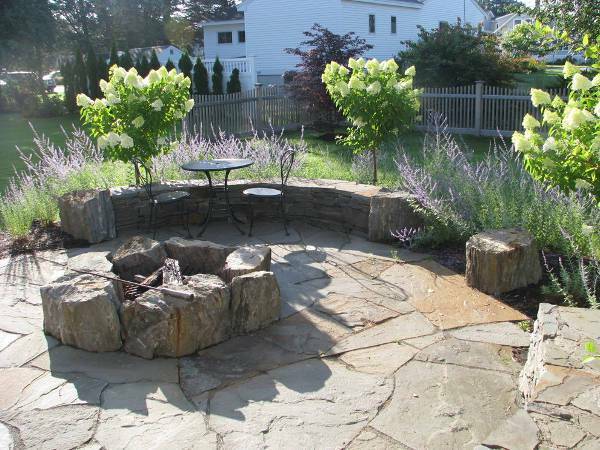 Add warmth to your outdoor space by opting for in ground fire pit designs. With these designs, the flame will look as if it is originating from under the earth. They can be a simple hole dug into the ground or a brick-lined pit. Their small size helps eliminate the risk of items catching fire. 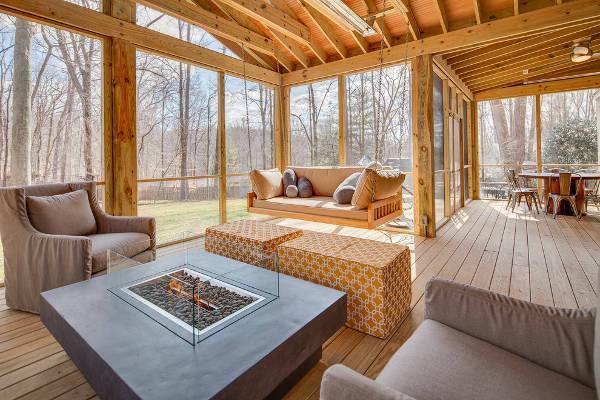 When your favorite hanging spot is the deck, then it becomes essential to add a fire pit to improve its ambiance. Decks can easily catch fire when undetected flame lands on them, so opt for a professional who can put the fire pit for you. 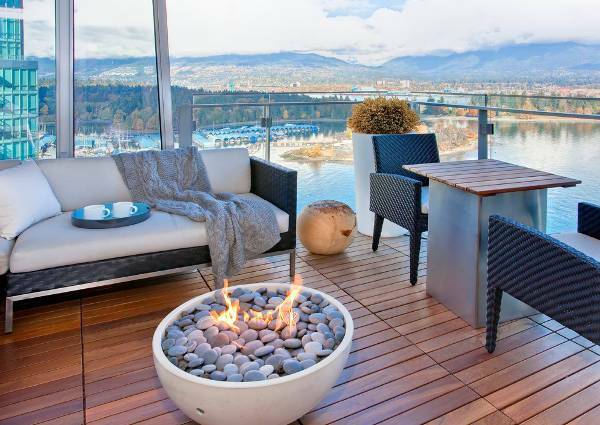 Or opt for deck fire pit designs that come with a screen. 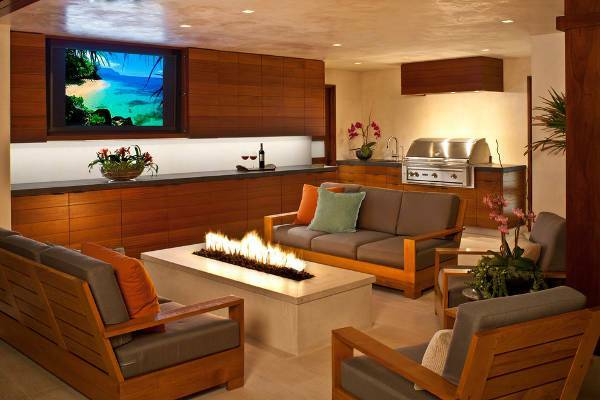 Indoor fire pits can help keep your home warm hence saving the cost of using electric heaters. Go for an indoor fire pit designs that are easy to clean, resistant to rust and within your budget. If you intend to use wood, then it is essential that your fire pit has a chimney. 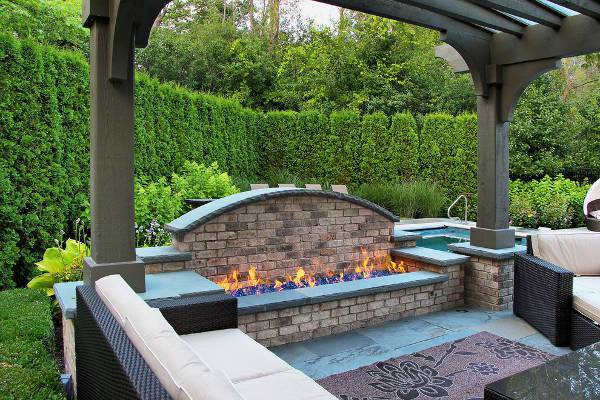 While open fire pit designs are the ideal traditional way of staying warm and cozy, to avoid fire breakouts go for fire pit covers, screen or grate. They work to keep your fire burning when it is rainy or windy and also prevents dirt from entering into your fire pit. 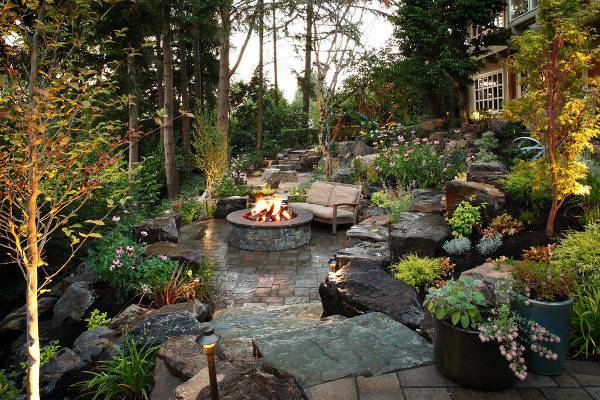 A small space can still feel cozy with small fire pit designs. 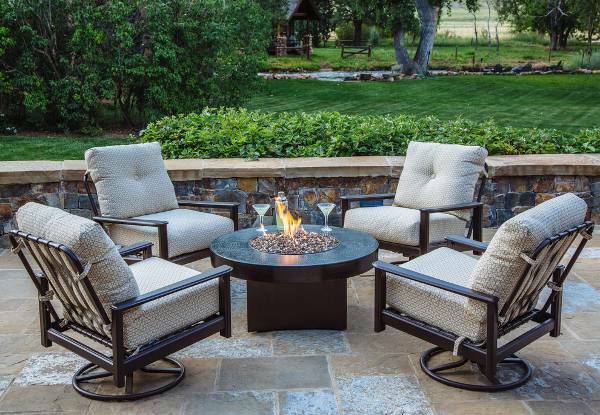 A fire pit in a table design is ideal for this area size, and even portable bowl fire pit designs can make your place the ideal spot for your friends to hang out. 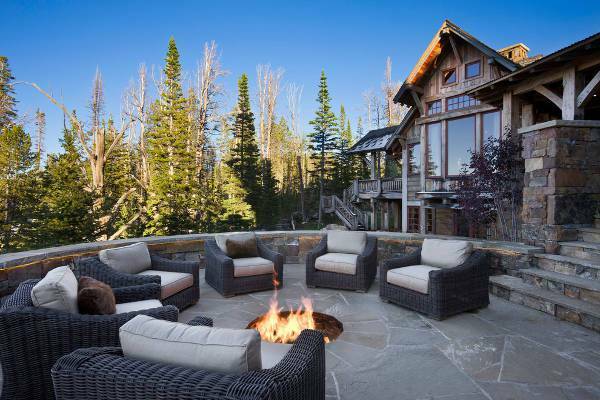 Landscape with a fire pit looks stunning and natural. The camp like atmosphere will attract guests and friends making fire pits the ideal ways to provide light, warmth and will seamlessly blend in with the landscape making it look like natural part of the environment. Round fire pit designs are ideal for bringing people together. The circular shape arrangement will ensure the warmth of the fire reaches everyone equally and also make it easier for people to socialize, drink and eat. If you are remodeling, then you can easily add gas to your permanent fire pit. Rustic fire pit designs provide an authentic campfire feeling where you can roast hot dogs with your loved ones. You can even go further and opt to use wood instead of gas. Choose to use smooth logs as seats and create an outline o your fire pits using stones or bricks. 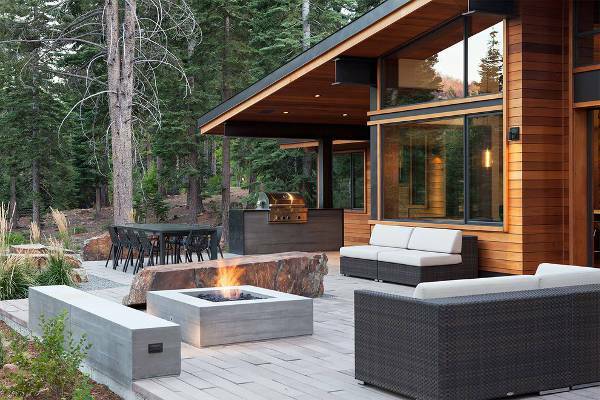 A modern home requires modern fire pit designs to make your outdoor experience fun. You can customize the fire pits to fit your space size and style. You can go for a table top fire pits which use gel as a source of fuel or contemporary gas fire pits that incorporate fire and water. Stone fire pits are efficient, easy to sustain hence have low maintenance requirements. They blend easily with natural terrain hence are suitable for people who want the camping experience right in their homes. The spot where you put your fire pit should be open and away from trees. Portable fire pits are usually made of metal to make it easier to move the fire. You can choose portable fire pits such as those made from cast iron which is strong and keeps heat for longer periods or copper which is long lasting and durable. Copper fire pits are attractive hence can act as a decorating tool. Fire pits are perfect for entertaining friends outdoors and can even work to keep you warm when you just feel like relaxing outside at night. To further look cool go for those designs that you can cook on or grill delicious food. While there are different types and sizes of fire puts, the one that works for you should meet your needs and fit the space in a way that makes it easier to move around. 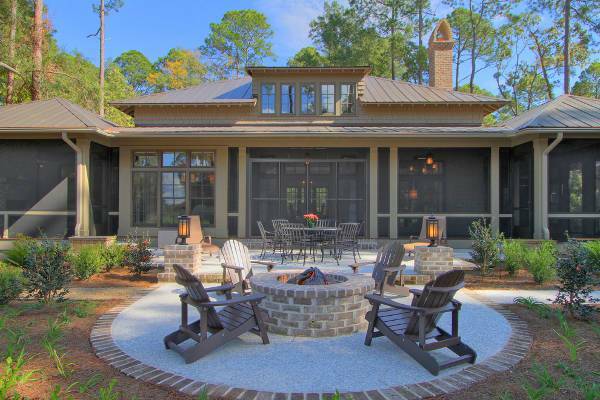 Fire pits help illuminate the area, provide warmth and act as a decorative item. You can choose portable metallic designs which you can take with you during camping or opt for chimineas which are permanent installations. 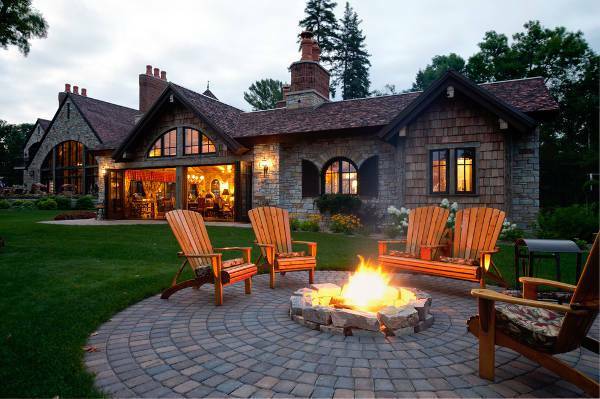 Whatever style and material you choose, your fire pit design should complement the theme of the space.